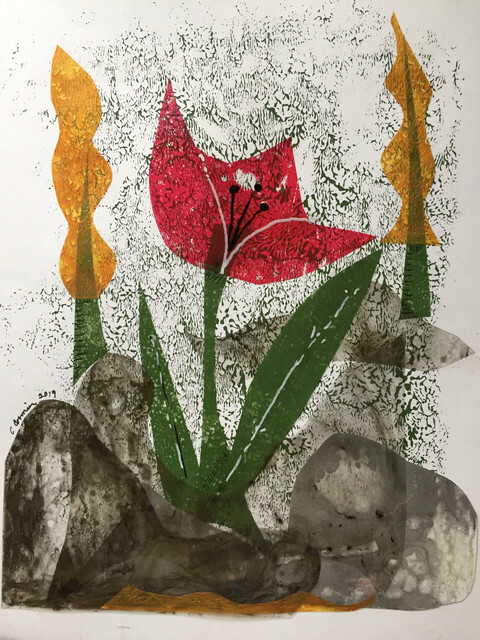 This entry was posted in Art, Art Classes, Flowers, Photography and tagged 2019 Year of the Collage, abstract floral, art, Carla Sonheim, collage, photography, transparency film by Mama Cormier. Bookmark the permalink. Thank you Christine. I’m addicted to adding more detail.